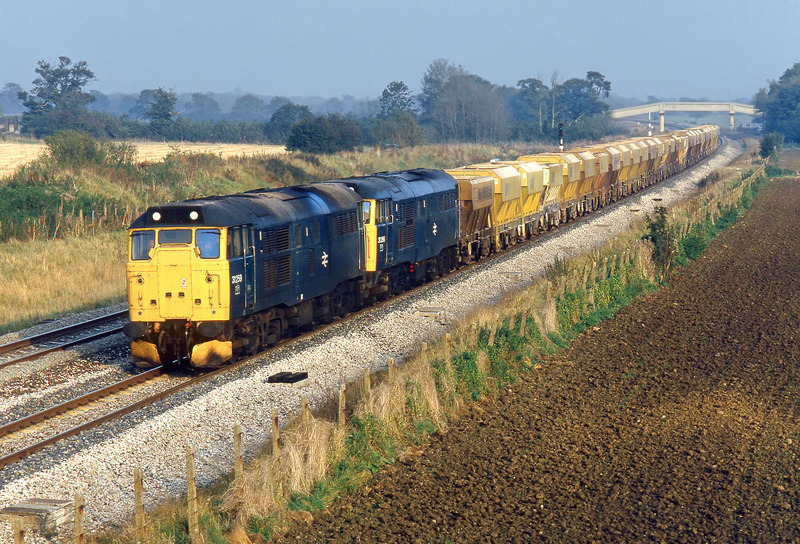 A welcome surprise at Shrivenham on 25 October 1985. Instead of the usual Class 56, a pair of Class 31s were rostered to work the 6V38 11:52 Wolverton to Stoke Gifford ARC stone empties. 31259 & 31286 are pictured passing Shrivenham in the weak afternoon sunshine. Previously worked by pairs of 37s, by 1985 the stone trains on this route were either worked by 47s or 56s, so this was definitely a welcome bonus. It is the only time that I saw 31s on this duty.